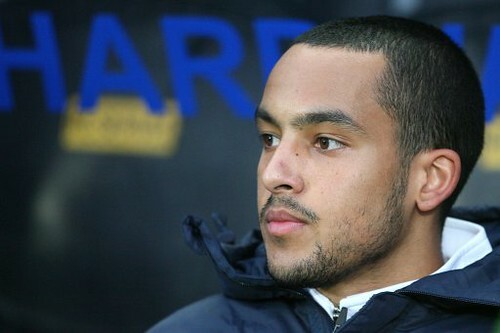 Theo Walcott, originally uploaded by Ashburton Grove Blog. Today is a really quiet morning news wise for Arsenal. There really isn't much going on whatsoever in any shape Gunners wise until Thursday when Arsene will hold his pre-match press conference ahead of the West Ham game. But then that might be switched to Friday to take into account the Champions League draw which takes place that day, which the media will want to get his reaction to. It's going to be a slow week I feel. Theo Walcott celebrated his 21st birthday yesterday with a castle birthday cake. 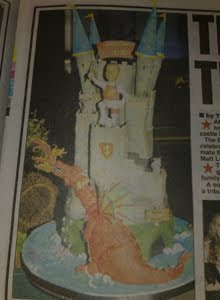 Nice picture in the Daily Star of the cake. There is no picture with their online version of the story, so I've taken a snap for you. The Daily Mail report Sol Campbell has won a court case with Portsmouth over the money they owe him for wages and image rights. And that's about your lot. Apart from a piece in the Times. They have created a list of 100 people in sport who they believe are powerful. In at number 79 is former Arsenal vice chairman David Dein. Unfortunately there are a number of inaccuracies in their history of his Arsenal past. Take a look and see if you can spot them for yourself.